Summary: When tragedy strikes close to home, Mickey Bolitar and his loyal new friends—sharp-witted Ema and the adorkably charming Spoon—find themselves at the center of a terrifying mystery involving the shooting of their friend Rachel. Now, not only does Mickey have to continue his quest to uncover the truth about the Abeona Shelter, the Butcher of Lodz and the mysterious death of his father, he needs to figure out who shot Rachel—no matter what it takes. It's a little unusual for me to to feature young adult books as part of Mystery Mondays; however, I couldn't resist sharing Harlan Coben's Mickey Bolitar series with you. I recently read (or maybe I should say devoured?) 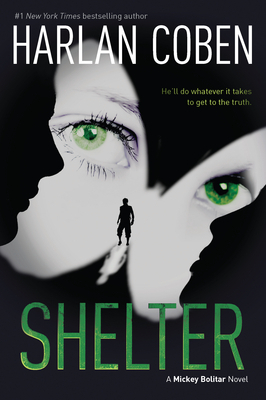 the first two novels SHELTER and SECONDS AWAY (which will be released on September 18th), and I have to tell you, I enjoyed them a great deal despite being quite a few years past the age of the target audience. These books were entertaining and intriguing, and they also had fantastic characters. The first novel SHELTER introduces Mickey to the reader. He's a basketball obsessed teen who has recently returned to the States for some stability after years of following his parents around third world countries. However, Mickey's life is far from stable. He has to start a new high school, he was a witness in the automobile death of his father, his mother is in rehab for drug abuse, and he is forced to live with his estranged Uncle Myron. You might think things can't get any worse for poor Mickey, but that's not the case. When his new "girlfriend" Ashley goes missing, Mickey decides to track her down (especially after a mysterious warning from a strange neighbor lady!) He soon discovers that Ashley isn't at all what she seemed, and he finds himself in a fight for his life against some very seedy characters. And if that's not enough, Mickey also learns some startling things about his parents and the death of his father; and his entire life is turned upside-down. 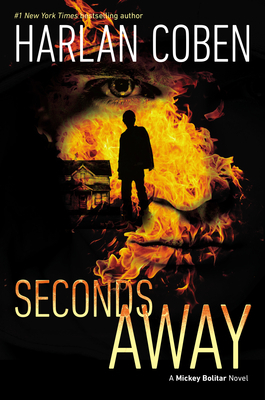 The second book SECONDS AWAY picks up right where SHELTER left off -- just seconds from the shocking cliffhanger! In this novel, Mickey's "friend" Rachel is shot just seconds after they end their telephone conversation. So Mickey is still trying to figure out some unresolved issues from SHELTER, and he also has to solve the mystery of Rachel's shooter. Once again, Mickey finds himself in some very complicated and dangerous situations, and he realizes that those closest to him are harboring some sensitive secrets as well. You might notice that I left the books' descriptions pretty vague, and I did that on purpose. Both SHELTER and SECONDS AWAY are full of some pretty zany twists and turns, and I think they are best left to be discovered by the reader. Plus, I didn't want to give away any spoilers! I loved how SHELTER ended with some jaw-dropping reveals, and I am so glad that I was able to jump right into the next book and get some answers (partial ones, but at least some...) Unfortunately, I will have to wait awhile to read the third book in the series and get some additional information! There were plenty of things that I enjoyed about these two books. I thought the mysteries were relatively complex and they definitely kept my attention -- maybe because I had little, if any, idea where they were going to go! In addition, I loved how the books kept surprising me. It's unusual for books to have more than one big reveal so I appreciated that I was kept on my toes with the plot shockers. However, I think I most enjoyed the characters in these stories. I couldn't help but love the character of Mickey. While my heart definitely went out to him, especially since he basically lost both parents and he was the new kid in school, I still had a feeling that he was a strong kid who would overcome whatever troubles were thrown into his path. He, without a doubt, proved that in both of these books. Needless to say, this kid has guts and intelligence! Both books were written in his voice and I loved his honestly and his self-deprecating humor. In addition, I liked the supporting cast of characters, especially Mickey's friends (and school outcasts) Ema and Spoon. Ema is an overweight goth girl who is very misunderstood by her classmates, while Spoon is a sweet but nerdy kid who just happens to be the son of the school janitor. Both kids are mercilessly bullied and Mickey finds himself drawn to them -- partially because he is an outcast himself and partially because he feels the need to protect people. Ema and Spoon both provided some comic relief to the story, but more importantly, they helped Mickey in his quest to solve the many mysteries. I absolutely loved these characters and how loyal they were to Mickey, and their friendship really warmed my heart. As an adult, I thought both SHELTER and SECONDS AWAY were fantastic. However, I also know that I would have loved these books as a teen. It's almost impossible to imagine not liking Mickey and his friends, and I have a feeling that many kids will be able to relate to at least one of them. In addition, I think both boys and girls will find it refreshing to have a series of books that isn't dystopian or supernatural, but rather deal with "normal" teens trying to solve some pretty unusual mysteries. Needless to say, I highly recommend both books in the Mickey Bolitar series; and I can't wait to see where book three takes him! I am definitely anxious for some additional information about Mickey's parents' past as well as some details on the mysterious Uncle Myron. Thanks to Big Honcho and the publisher for providing review copies of this novel and the giveaway package. 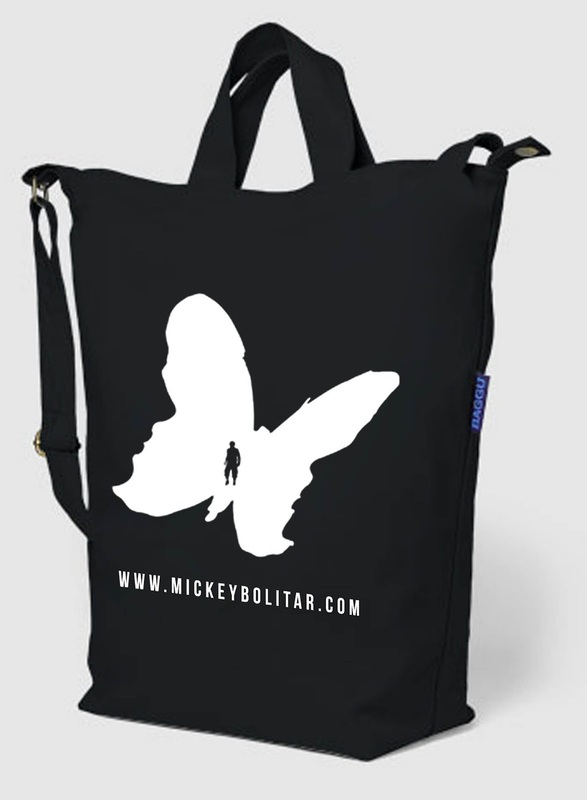 Giveaway alert: I have a great giveaway package to share with one lucky reader -- a copy of SHELTER, a copy of SECONDS AWAY and a Mickey Bolitar tote bag. To enter, just fill out the form below before September 20th at 11:59 p.m. ET. I will randomly select and notify the winner the following day. This contest is open to those of you with US addresses only. Good luck! 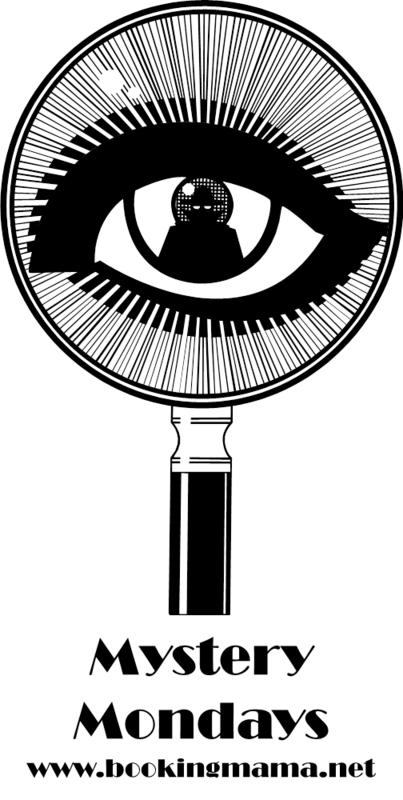 Loading... Mystery Mondays is a regular feature where I review all types of mystery books -- traditional mysteries, suspense/thrillers, and even cozies! 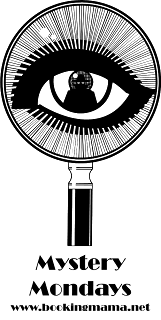 Please feel free to share your thoughts on any recent mystery books that you've read. I read Shelter earlier this year and thought it was terrific. I'm glad to see Seconds Away is just as good. I'm featuring these books next week. Aren't they great?